Contact our best wrongful death attorneys in Utah at the Jardine Law Offices, P.C., to get a free consultation about your case. Call at 801-350-3506 or complete this contact form today. A death of a loved one is definitely one of the toughest challenges that life can possibly throw at you. The burden of loss and emotional distress associated with a family member’s death can take months or years to cope with. All these factors make it nearly impossible to think straight and make rational decisions. That is why it can be quite difficult to focus on Googling how to file a wrongful death lawsuit in Utah and think rationally about how to get compensated for your damages. That is why we brought our Farmington wrongful death attorney from the Jardine Law Offices, P.C., to outline some of the basic things you need to know about wrongful death in Utah. Who qualifies as an heir? Under Utah wrongful death laws, there are a variety of family members that can qualify as heirs and are entitled to compensation after their relative’s death. Heirs eligible for compensation include the deceased’s surviving spouse, children, parents (biological or adoptive), and dependent stepchildren. In case all the above-mentioned relatives passed away or never existed, other surviving blood relatives may qualify as heirs as well. 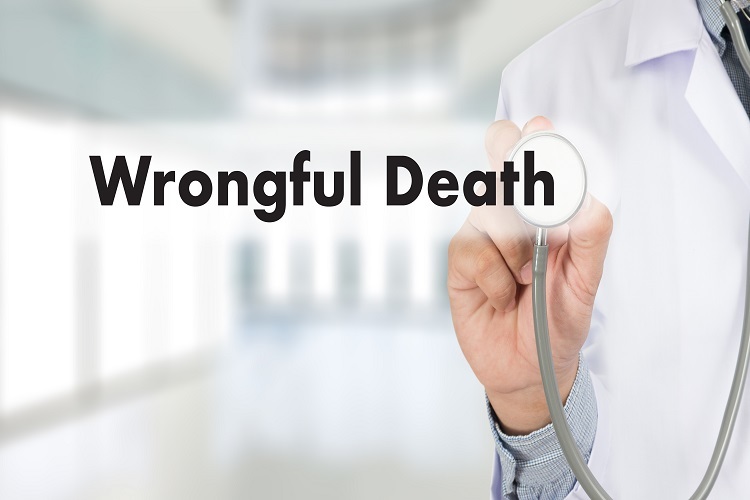 Our wrongful death attorney in Farmington warns that while each heir can file their own claim separately to get compensation, only one wrongful death lawsuit can be brought on behalf of all eligible heirs. How to file a wrongful death claim in Utah? First and foremost, it is highly advised to contact an experienced Farmington wrongful death lawyer in order to discuss your legal options and plan of action. The second step is to declare your intentions to bring a wrongful death lawsuit to your insurance company. When all is said and done, that is where the most tedious part begins: collecting all the required documentation to prepare your wrongful death claim. These documents include death certificate, evidence of negligence, proof of relationship, and many others. If there is already a personal injury claim, you will be required to gather fewer documents to start a claim. Since financial compensation will be distributed among the legal heirs in any event, it is highly advised to file a wrongful death claim and lawsuit jointly in order to expedite the process and avoid confusion. Can heirs file a wrongful death claim separately? While it is always recommended to file a wrongful death claim jointly, some heirs may have their own reasons to file separately. In no way does it mean that the heirs who file separately will be favored by the court or will be able to receive a larger amount of compensation. Note: if there are minor heirs, they can be included in joint claims as well. However, the court will have to appoint a conservator for the minor heirs. Who can be sued in a wrongful death lawsuit? This depends on how your family member died and whose negligence, reckless, omission to act, or breach of contract contributed to your loved one’s death. Typically, the more defendants you can name in your wrongful death lawsuit, the larger the compensation you can recover. Consult with a Farmington wrongful death attorney at the Jardine Law Offices, P.C., to determine all parties that can be held responsible for the death of your loved one. Do not trust your insurance company, as insurers are never truly on their policyholders’ side.